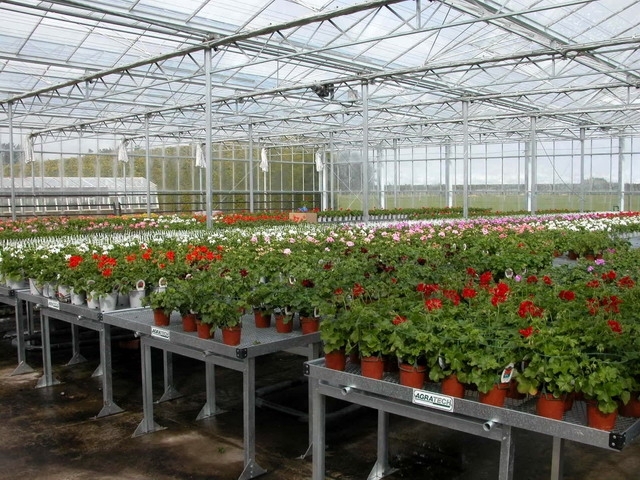 All Agra Tech benches are made of heavy duty galvanized steel that resists rusting, extremely important in the moist environment that exists under the plants. 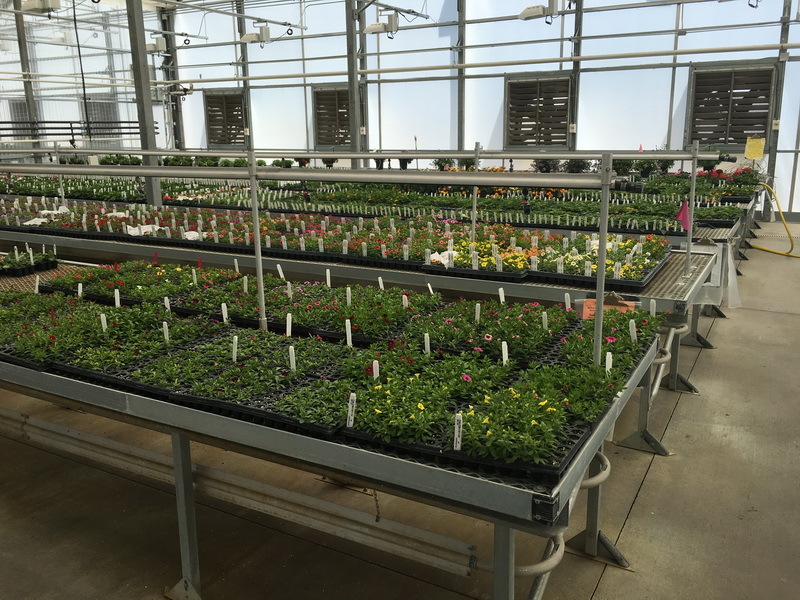 Growing on benches reduces plant disease, increases productivity, and increases the quality of the plant. 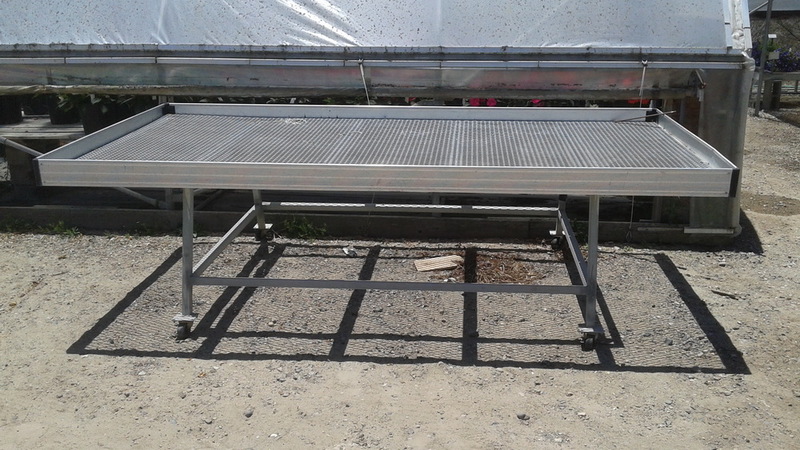 Bench top side rails come in 4” tall aluminum extrusion or 2 ½” tall steel. Legs are 18ga C channel spaced 6’ centers. Crossbars are hat channel spaced at 24” centers for expanded metal or 18” centers for Ebb & Flow tray benches. 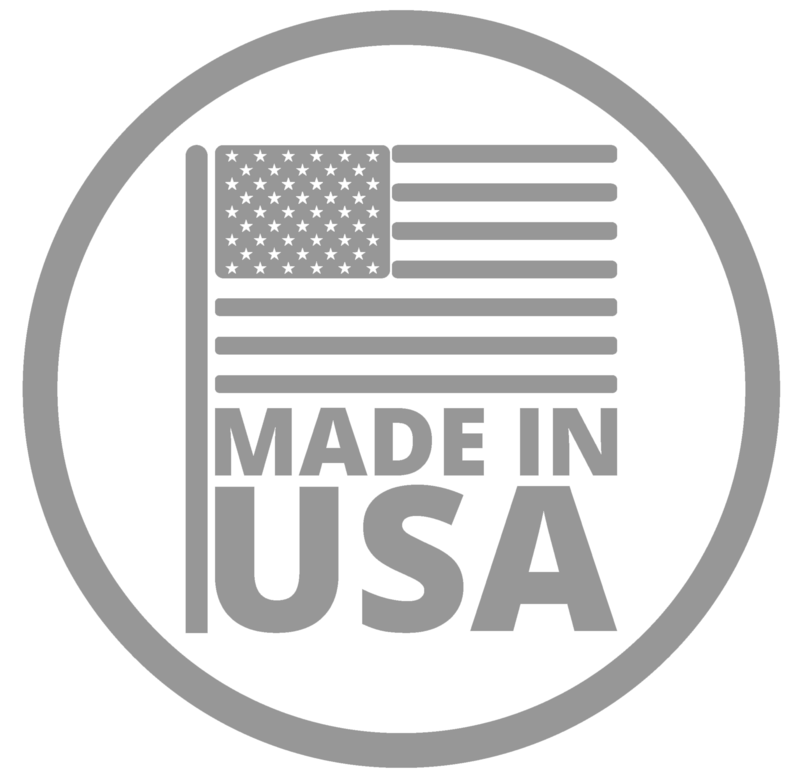 Two types of bench tops are offered; Expanded Metal and Plastic Ebb and Flow trays. Compare: Agra Tech uses expanded metal that is ¾” 13 gauge hot dipped galvanized after cut. ¾” 13 gauge is stiff enough to keep your plants on the level. Hot dip galvanized after cutting means you won’t be replacing it in a few years due to rust. 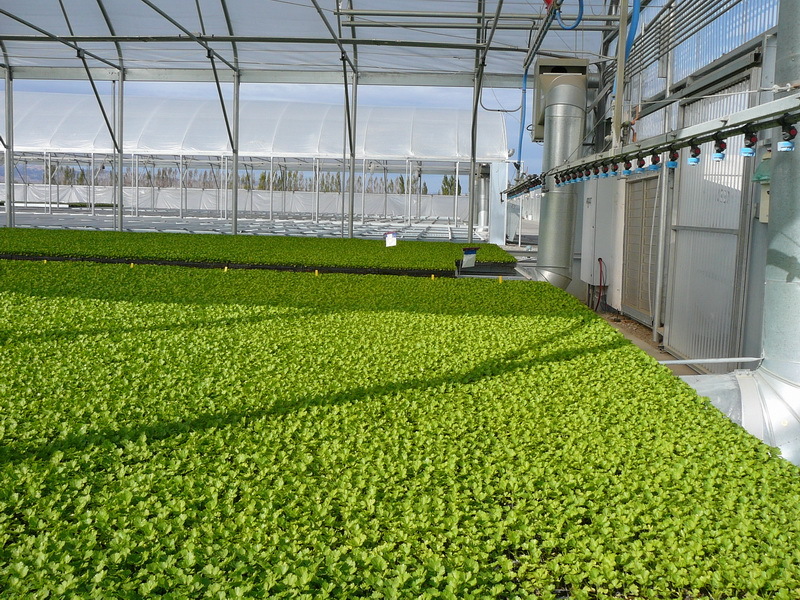 Ebb & Flow trays are European designed with multi directional drains to make sure the water rises and drains vertically. 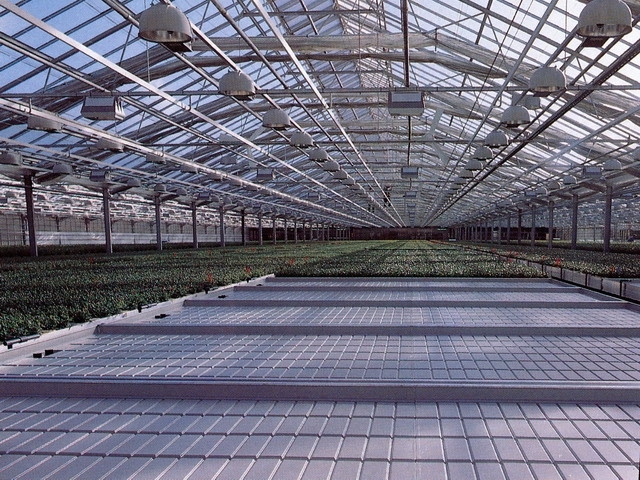 The material is virgin polystyrene with high UV resistance, critical in a greenhouse environment. 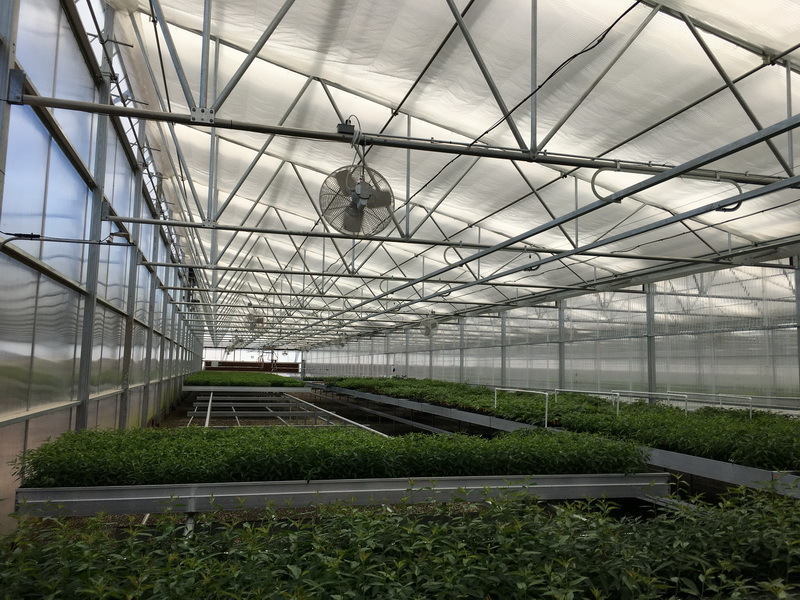 With water reclamation requirements and increasing intolerance of contaminating ground water, ebb and flow trays are the bench irrigation solution for the future.